When college football’s greatest historical programs are discussed, schools like Notre Dame, Southern Cal, Michigan, Alabama and Penn State commonly come to mind. But to truly appreciate the history of football, the contributions of the University of Virginia cannot be overlooked. While national championships and Heisman trophies may not adorn the University’s halls, Virginia had the honor of aiding in times of crisis and standing up for fairness and equality during college football’s formative years. Pop Warner was livid. The man who would one day become synonymous with youth football in America was furious with UVA athletics director Dr. William Lambeth. 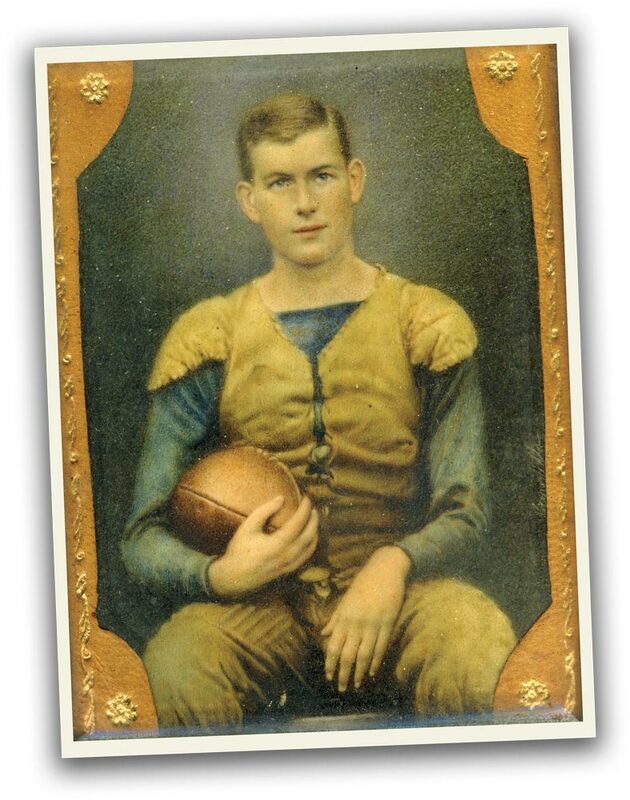 Carlisle had become the darling of the college football world in 1907 when Thorpe joined the varsity squad, helping them finish 10-1. With Carlisle ascending the national rankings in the years that followed, UVA wanted to face off against the national sensation. After agreeing to a game in 1910, the Cavaliers discovered that they would miss the chance to play against Thorpe because he had skipped the season to recuperate after playing summer baseball. Despite a 22-5 setback against the Indians, Lambeth wanted a rematch the following year, when Thorpe would make his return to college football. Even back then football was big business. Gate receipts paid coaches’ salaries and team expenses, and funded almost every other sport. But the quest for victories led to the dogged pursuit of the best student-athletes—who many times ignored the student part—and pushed on-field rules to the limit, no matter what the consequences. This led to three critical questions, pillars of the very foundation of college football: Who should be allowed to play? What rules should they play by? And which student-athlete costs should be covered by schools? The University of Virginia played a pivotal role in the resolution of all three. 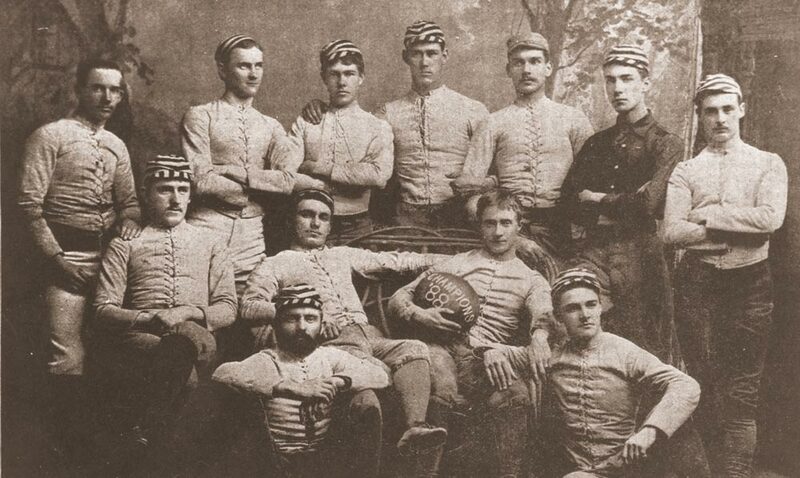 In 1888, the University of Virginia played its first official football game, a 20-0 victory over Pantops Academy. As far back as the 1890s, a phenomenon known as the “tramp athlete” took hold of college football. These players-for-hire went from school to school selling their services. And without a ruling body to govern the sport, it was left up to the universities themselves to determine eligibility. The guidelines were so uneven that in an early game between Virginia and North Carolina, a purported member of the UNC faculty scored a touchdown. In 1904 at the University of Virginia, control of athletics rested in the hands of a student group, the General Athletic Association. But UVA still had no strict regulations that defined player eligibility. That fall the University’s newly elected first president, Edwin Alderman, immediately sought to formalize matters by appointing a committee to recommend standards for eligibility—but the results would not be released for more than a year. In the meantime, tensions rose the following year as the November showdown against Virginia Polytechnic Institute was fast approaching. Just one month earlier, President Theodore Roosevelt had summoned representatives of Harvard, Princeton and Yale to the White House to discuss injuries, lack of sportsmanship and eligibility issues. Roosevelt, who thought the game good for instilling toughness in young men, wanted to facilitate a resolution. After much discussion, individual interests ruled and no changes were made. With no national compass, the issue would come to a head with UVA and VPI. Going into the game, UVA was 8-0 all-time against their neighbors to the southwest, and VPI was desperate to put an end to its futility. As the teams warmed up at Lambeth Field, the students who ran the G.A.A. left the wooden bleachers lining the hillside and presented the visitors’ star player, Hunter Carpenter, an affidavit to sign denying he was a “professional.” Carpenter refused to sign. Without a doubt, Carpenter followed an uncommon path in his college career. He entered VPI in 1898 and graduated in the spring of 1904. He then enrolled in graduate classes at UNC that fall and proclaimed, “I want to help Carolina beat the University of Virginia.” He lost yet again. Looking for one last opportunity, Carpenter, in his eighth year of college studies, and seventh playing varsity football, rejoined VPI. UVA might have had a stronger team if a new student on Grounds had been allowed to compete. Former Columbia captain Tom Thorp, who failed out of the New York school weeks earlier, had just enrolled at Virginia. Alderman, while happy to give the student a second chance to redeem himself academically, insisted he could not play football for one year. Carpenter started off the contest scoring on a long touchdown run, and the Wahoos could not keep pace. Newspaper accounts told of punches thrown both at and by Carpenter, the latter leading to his ejection. Indignantly, he threw the ball into the stands with officials escorting him from the game and the crowd roaring in delight. Despite hopes for a spirited comeback, VPI prevailed 11-0. The animosity between the programs became so intense that the teams would not play each other for the next 18 years. While UVA may have lost the game, the faculty, students and alumni felt they had kept their academic integrity. After the season’s conclusion, the committee assigned to study eligibility guidelines at the University reconvened. Professors W.H. Echols and Raleigh C. Minor, along with William Lambeth, submitted a landmark report formalizing standards at Virginia for the first time. While UVA was crafting its Magna Carta, the outcry against professionalism nationwide became the catalyst for the creation of the Inter-Collegiate Athletic Association, which later became the NCAA. On Dec. 28, 1905, just one month after the Carpenter incident, representatives met for the first time in New York to discuss the abuses in college football, but could not agree on a uniform eligibility code. Two weeks later, Lambeth’s group made its rules a reality at UVA (see rules summary on facing page). The University of Pennsylvania followed suit the following month with even stricter provisions, along with Harvard, Princeton and Yale. While the University was not the sole leader in the “who can play” debate, its public and early adoption of strict eligibility standards, along with an insistence on competing only with like-minded institutions, was a bellwether event in the South that ultimately culminated in a uniform national code. Four years after Hunter Carpenter finally tasted victory over his longtime nemesis, the “how they play” conundrum of college football made national headlines and UVA was again at the center of the controversy. Football historian John S. Watterson (Col ‘62) illuminates the 1909 UVA versus Georgetown contest and its aftermath with his article “Youth and Memory.” He vividly describes UVA’s freshman sensation, Archer Christian, scoring a touchdown and kicking a field goal in the first half. With five minutes left in the game, Christian broke through the line but was stopped abruptly. He was knocked backward while others fell on top of him. After peeling players off the pile, a hush went over the crowd as Christian lay motionless. As he was carried away, he was heard telling trainer Pop Lannigan, “I’m suffering. Please do something for me.” Christian slipped into a coma and died the following morning. News of the tragedy made the front page of the New York Times, along with a plea for the game to be abolished. Talk of outlawing college football surfaced in state assemblies. Distraught over the death of one of his students in a game that he adored, Alderman embarked on a public crusade to reform the rules of the sport. He traveled to New York along with William Lambeth to make an appeal before the ICAA. Alderman exhorted the rules committee to consider revisions that would make the game less violent. Christian was not alone. Ten men died that year playing college football—and dozens more at other levels. Few realize how close football came to being expunged from the American consciousness. In 1909, it was still a young sport and not firmly rooted. There was no NFL. Colleges controlled the fate and direction of the game. William Lambeth, who witnessed Christian’s death, was named to the ICAA rules committee during that session. Because Lambeth was so close to the tragedy, he was particularly inspired to reform the rules. His training as a doctor led him to view the game differently than his fellow committee members. He focused on the game’s physical demands and the punishment it inflicted on the body. The rules at that time made football a contest of endurance and brute, physical force. Compounding the issue, player substitutions were treated like those in modern soccer—once a player left the game, he could not return. When athletes became fatigued, they refused to leave the game because a less-qualified man would take their place. Offenses would begin to direct their attacks toward the weakest players on the defense. Exhaustion led to slow reactions and ultimately to dangerous injuries. Also like soccer, football was played in two long halves. Lambeth thought dividing the game into four quarters would be one way to give players “a breathing spell,” with brief respites between the first and third quarters and a long break at halftime. This idea was revolutionary at the time. Opponents thought it would ruin the flow of the game, but Lambeth knew it would allow smaller teams to rest and then utilize their speed and agility to open up the field. Of the more than 50 suggestions made, Lambeth’s four-quarters proposal and another allowing a player who left the game to return at the beginning of the next quarter were the only ones that met with unanimous approval. Not a bad start for the newest member of the rules committee. Whether an intended consequence or not, Lambeth helped create parity among teams. Like the three-point shot in basketball, the four-quarters concept and the forward pass opened up the possibility of smaller teams defeating the Goliaths of the football world. The entire set of new rules, in part created by UVA’s Lambeth, would come to be used throughout college, high school and professional football. Despite new college football rules on “who can play” and “how they play,” it would take another 40 years to determine how much aid could be provided by schools. “Athletic scholarships” were not allowed. Instead, subsidies paid to star players were labeled as “financial aid.” Illicit payments, free cars and fake jobs became commonplace around the country. Overnight the new Sanity Code set up the framework for the NCAA to enforce rules for the first time in its history. From its founding in 1905 until 1948, the NCAA had been an advisory body. It was now a regulatory one, in part because of the actions of UVA officials. Violators of the code could now be expelled from the NCAA. Breaking their own rules was the last thing on the minds of UVA officials, who were confident in their latest contribution to the game of football. However, what they envisioned as the great equalizer blew up in their faces. While Pritchett had the best of intentions, the impact of not allowing aid for the “room” in “room and board” or three meals a day was grossly miscalculated. Many needy players would now need to work part-time jobs during the season to pay these expenses. 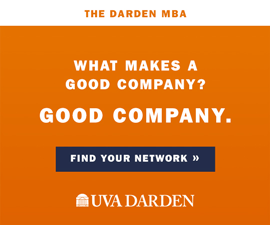 Darden wanted to expand the code to include room, all meals during the season, books and laundry. Pritchett told the committee he felt like the man who invented the guillotine and was destroyed by the same instrument. After seven hours of heated debate, votes for expulsion fell short. As Darden smiled victoriously, Maryland president H.C. Byrd immediately introduced a resolution to revise the code. In an ironic twist, the University of Virginia, which had helped turn the NCAA into an enforcement agency, became the first to fight against the very restrictions it created. While the Sanity Code vanished, the NCAA’s enforcement arm remained, changing the very nature of college football yet again—one of three major turning points in the game’s history. 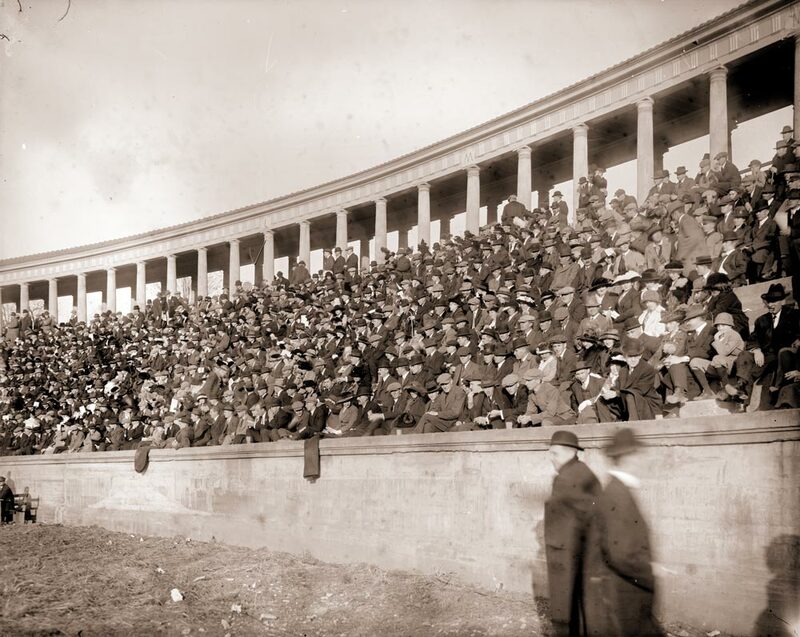 College Topics’ prediction in 1910 still holds true: Without the University’s contributions to the evolution of college football, the game would “hardly be recognizable” to today’s fans. About the author: Kevin Edds (Col ‘95) is the director and producer of the recently released documentary Wahoowa: The History of Virginia Cavalier Football.